Church Cottages’ is another gorgeous holiday cottage from the utterly charming Notgrove Estate. Set at the end of a row of quaint Cotswold cottages, this beautiful bolt hole is as idyllic you could ever wish or want. From all the windows your view across the garden is a classic Cotswolds’ scene, overlooking rolling countyside beyond. Internally the owners, have ensured that all your self catering requirements are taken care of, all within thick stone walls and a mass of character!! The kitchen/diner is a good size with plenty of space, the living room similarly spacious and yet cosy with a wood burning stove; upstairs are two bedrooms and two bathrooms all with super views. Whether you are a family or couple looking for a holiday destination at amazing value, then Notgrove is unrivalled, with so much to keep you busy and all within the ‘olde englande’ surroundings of this magnificent country estate. The owners have also set up a host of links with local suppliers for food etc. 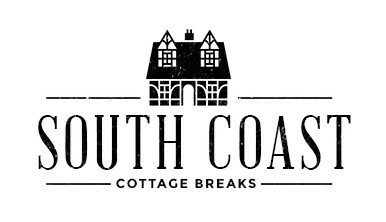 In short – this is Cotswolds’ heaven!The cottage owners are able to offer a comprehensive range of additional services, from food prepared ready for your arrival, to cycle and tennis court hire. Please visit their website, at www.notgroveholidays.com for a complete list of options.ACCOMMODATIONEntrance through to lobbyKitchen / Diner, fully equipped with electric hob, oven and grill, microwave, dishwasher, large fridge freezer, ample storage space, plus washing machine hidden in the lobby! Dining table is extending to seat either 4 or 8 people comfortably.Living Room is the heart of the home, with a lovely warming woodburning stove, two large sofas, large flatscreen TV with DVD player.UpstairsMaster Bedroom, a good size with king size double bed 5ft (which can be split into two singles if necessary) plus wardrobe and chest of drawersBathroom One with bath, shower over WC and washbasinBedroom Two is a smaller bedrooom with two single beds. These can be put together to create a double bed but please note that there would be limited access to one side of the bed.Bathroom Two (ensuite to Bedroom Two) with shower, WC and washbasinOutsideThe property has an enclosed garden, which leads down towards the fields. There is a table and chairs for outside dining. As the property sits within a 1500 acre private estate, there are tens and tens of walks (literally!) which guests are encouraged to enjoy.During times of peak demand, full weeks only with Friday start (unless last minute). One “small “dog is welcome.WiFi Available.Please note: a (fully refundable) security deposit of £100.00 is required at this cottage.Cheltenham Race Week: please contact Manor Cottages for price.